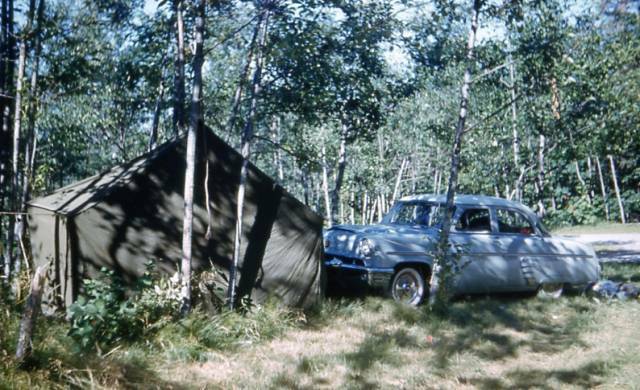 Camping the Old Fashioned Way Photo Picture Classic Cars for sale & Classifieds - Buy Sell Classic Car & Classic Truck Classifieds. really sad this doesnt happen much nowadays.....this would be way cooler than a hotel......nice 53 merc too,love the whitewalls and skirts! Very cool I like this pic.